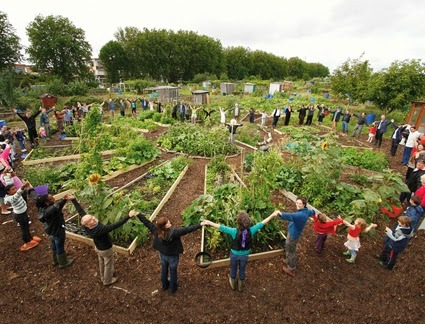 Living Under One Sun Community Allotment Project is based on the East Hale Allotment Site, adjoining Tottenham Marshes. Biodiversity and botany, keeping an eye on the whole garden and the tender care of identifying, recording, collecting seeds and learning what species we have on site (from flowers, grass, weeds, fungi, mould, fruits, herbs, bugs and more. Brian has heaps of expertise but may need help. He's looking for volunteers or learners who can help him to achieve the tasks he has set to improve and maintain his project ideas. Those with a keen eye and heart for the scientific, as well as a desire for learning and paying attention. A twelve week practical and supported course in adopting a community site, including being mentored on how to bring it to life and engage the local community around the site. Identifying and securing a site, learning about its strengths and development needs for growing, beginning to grow and involving others, maintaining and getting support to sustain it. Session 1: (a) What is photosynthesis? What are plant chemicals and how do we use them in herbal medicine (b) start of individual growing project. Session 2: Understanding the use of herbal medicine in digestive problems. Session 3: How herbal medicine is used to enhance your mood: Identifying herbs and body systems involved. Session 4: Exploring the concepts of the traditional uses of tonics, cleansers and blood builders across different cultures. Session 5: Understanding The role of antimicrobials. Session 6: Feedback on plant projects; review of previous 5 weeks; Quiz, Q&A. Week 7: Off-site visit to a herbal garden: (Chelsea Physics or Kew Gardens).